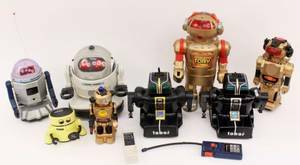 Group of eight robots (circa 1980s) including two black tobor robots; a walking talking toby robot in gold and red tones; a gold tone Pyrobot; a 2002 Model 2 gold tone robot; a Radio Shack Robie Junior; a Radio Shack Talking Robie; and a Radio Shack Robie. 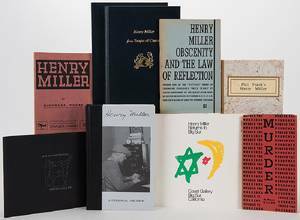 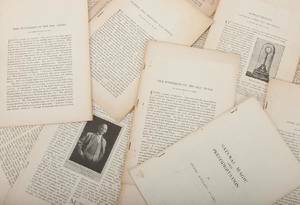 Group of Eight Pamphlets, and One Corrected Essay. 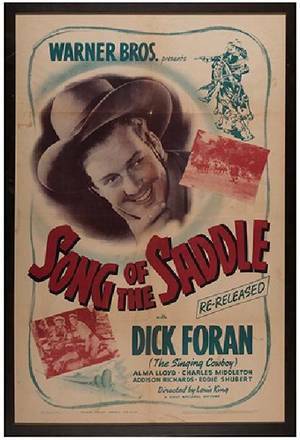 Group of Eight Western Movie Posters.